Choosing the appropriate accounting method for your business is an important decision that will ultimately direct everything from financial reporting to tax filings. In the early stages of a small business, cash-basis accounting is often the “go-to” method of keeping the books, whereas more complex or larger businesses with $1 million or more in annual revenue use the accrual basis. However, the reasons for a given choice can vary based on business size and needs. Choosing the right method for your business requires some consideration, especially because the IRS expects you to choose one method and stick with it. The cash basis accounting method is the system used by most people for their personal finances, such as keeping track of the balance in their checking accounts. Cash basis accounting records income and expenses at the time that the transaction occurs. With a personal checking account, deposits (revenue) are added to the balance when funds are received, while checks (expenses) are deducted when they are written. Cash basis accounting for business works in a similar manner. Sales are recorded when the payment is received and expenses are recorded when paid, all without regard to when services are delivered or expenses are incurred. In simplest terms, cash basis accounting is based on when the money changes hands. Accounting on an accrual basis is intended to match up revenue and expenses with they are incurred or delivered, without regard to when payment is issued or received. Your customer places an order for $1,000 and you ship the product, allowing him 30 days to pay for the order. You would record the sales in the current period, with the offsetting entry to the accounts receivable section on the balance sheet. When you receive the payment from the customer, you would not need to record sales; instead, the entries would be to cash and accounts receivable. You receive a utility bill on June 30 for June utilities, but you do not plan to pay it until July 10. Before closing your books for June, you would accrue the liability by posting an entry to debit utility expenses and credit accounts payable. In July, you would mark the bill in accounts payable as paid. You renew an annual software license for $1,200 in the month of January. However, instead of recording an expense of $1,200 for January, the expense is expensed over the entire year at $100 per month. The cash method of accounting is the simplest method and the method that is most familiar to the majority of people, especially small business owners. It also gives you the best view of how much cash you truly have available for operating your business. However, it can offer a biased picture of your profit and loss as expenses and revenue are often recognized in different periods. For example, suppose you spend $2,000 on June 25 to purchase products to fill a customer's order. Your customer picks up his order on July 1 and pays you $3,000. In the unlikely event that you had no other transactions for either month, your income statement would show a loss of $2,000 in June and a profit of $3,000 in July. The accrual method of accounting does a better job of matching income and expenses to the appropriate period. This gives you a more clear assessment of your true profit or loss. However, the accrual method tends to obscure your view of how much operating cash you actually have available, so you might need to review your cash flow statement often to get a better picture. 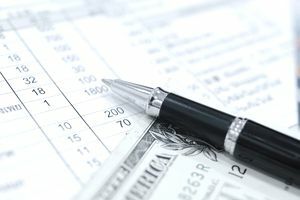 The accrual method is also more complicated and time-consuming to execute, sometimes requiring the support of accounting professionals to execute and analyze. Companies that operate as a C-corporation with gross receipts that average more than $5 million per year for the most recent three years. You cannot meet the IRS definition of a tax shelter. If you maintain an inventory, you must use the accrual method to record your inventory purchases and sales, but you can use a hybrid method that allows you to record other expenses and revenue, such as rent or interest income, on a cash basis. Your choice of an accounting method depends on a number of factors, such as the size of your business, your comfort level with accounting procedures and the nature of your business. If you are a one-person fledgling operation, your needs will not be the same as an established manufacturing concern with 100 employees. However, keep in mind that if you maintain an inventory, you will need to use the accrual method to record part of your entries, and when your business exceeds the gross receipts limit, the IRS will likely force you to convert completely to accrual basis accounting. You might find it easier to dive into the accrual method from the start rather than use a "hybrid" method or be faced with radical changes in the future.